The Rangeland Resolution recognizes that the health of these rangelands and the diversity of species they support are largely due to grazing and other land stewardship practices of the ranchers that own and manage them. It is affirmed by agricultural organizations, environmental interest groups, and academia, as well as state and federal agencies. 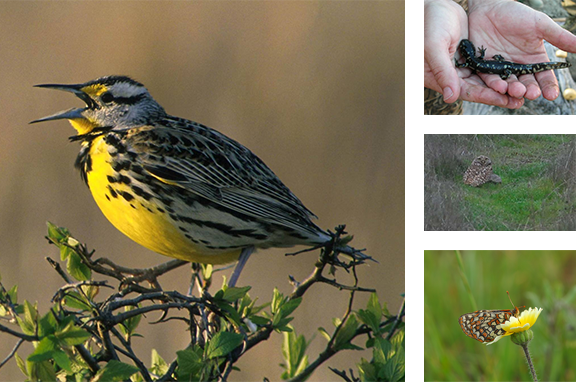 A glimpse at the diversity of species that the Rangeland Resolution recognizes and strives to protect. The undersigned recognize the critical importance of California’s rangelands, which support important ecosystems and other natural resources and are the foundation of the ranching industry. Educating the public about the benefits of grazing and ranching on California’s rangelands. Click HERE to see all current Signatories.